To be a successful forex trader, talent alone is not enough. The most successful traders have reached their spot by hours of rigorous practice and discipline. They are known to introspect often to discover themselves and keep emotions such as fear and greed at bay. This article covers 9 tips that can help you perfect the art of forex trading and achieve your financial goals. No one starts a journey without a destination in mind and how to get there. The same is true with forex trading too. Have clear goals as to what it is that you want to achieve through the endeavor. In this it is also important that your trading method should be suitable to the goal that you have in mind. Each trading method/style will suit a different risk profile and this basically necessitates a different attitude to carry out successful trades. If you are the type of person that cannot allow a trade to be open for the night, then day trading would be more suitable for you. If you have enough funds lying around, then you can consider top become a position trader. You can wait for the trade to appreciate for a period of a few days/months. If your trading style does not match your personality, sooner or later it can lead to stresses that show up as money losses. Different forex brokers offer different types of trading platforms. The speed and the technical advancement of the platform can help you or take you further away from your financial goals. 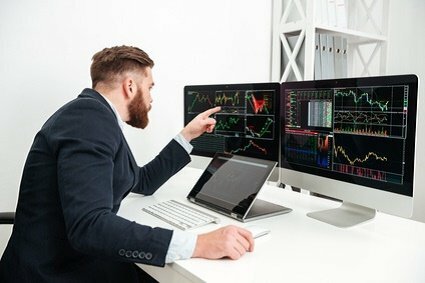 It is, therefore, important that you work along with a reputable broker whose trading platform is advanced enough to help you achieve your goals. In case you are a trader that uses Fibonacci numbers for the trades, ensure that the trading platform draws Fibonacci lines. Ensure that you are aware of the broker’s policies and the type and size of the clientele that he has. In forex trading, the most important is when the trader enters or exits a trade. The trader commonly uses fundamental analysis or technical analysis to decide this. Whereas some choose fundamental analysis to decide the condition of the economy, others rely on technical charts to decide the directions of rate movements of the currencies. Whatever be the methodology that you choose, it is important to be consistent. Also ensure that that the method is adaptive and reflects the changing dynamics of the currency market. To do this correctly, it is crucial that the trader chooses the correct time-frames to view the technical charts. What shows up as a sell signal within an intraday chart, could be viewed as a buying opportunity in a weekly chart. If your methodology is to infer the trading direction from a weekly chart and using a daily chart to time your entry into the market, then it is important to synchronize both the charts. If the weekly chart prompts you to buy, wait until the daily chart also gives you a buy signal. Timing is of great importance. The reliability of your trading system is determined by calculating your expectancy. It is a good idea to calculate how much profit was made by the winning trades as against the loss incurred by the losing trades. This should be done for the trades that have already been completed. Write down the whether each of the completed trades have made a profit or loss. After writing all the results, Total all the winning trades and divide it by the number of winning trades. This leaves you with the average win or average loss in case you calculate with the losing trades. Expectancy is calculated using the formula: E= [1+ (W/L)] x P – 1 where W is the average winning trade and L is the average losing trade. P is the percentage win ratio. What does the expectancy reveal? Expectancy (positive) of 40% indicates that your trading system will return 40 cents for every dollar in the longer term. When you allocate funds for trading, ensure that these funds are to be used for the trading alone and not for everyday living. You should make sure that you developthe right attitude towards the losses that are bound to occur during trading. This will help you to succeed faster than otherwise. Make sure that you strictly leverage trades to a risk that does not exceed 2 percent. This will only lead to small losses. You can create a positive feedback loop when you execute a successful trade in accordance to a plan that you have laid out. This done repeated forms a positive pattern from which you can further learn and succeed. This improves your confidence level to a great extent. Never digress from your laid out plan for the best results even if it means encountering a few losses on the way. Weekend time when the markets are closed is the best time to analyze weekly charts and form patterns that will help you to decide your course of action for the coming days. Though the market experts may suggest that a reversal is coming up, you need not follow the course that is suggested by them. The best way would be to choose objectivity and work your plans accordingly. That is sure to give you the best results that possibly can be in the longer term. It is important to remain patient till the desired results roll in. Maintaining a journal of your actions on a daily basis and printing out charts is a great resource to learn from. The charts should bear your entry and exit points. If there were emotional reasons that led you to take a decision, ensure that you note them down. Going through these records over and over again will help you to take the right decision when a similar situation occurs in the future. It will also help you to improve your mental control that will ultimately allow you to function according to the system that you have laid out for yourself. The ultimate lesson that you have to take away from here is that the harder you work with discipline, the luckier you will get in executing successful trades.